Rahul Gandhi will attempt during his Gujarat tour to harness the Patel anger against the BJP government for refusing to meet their demand for reservation in government colleges and jobs. 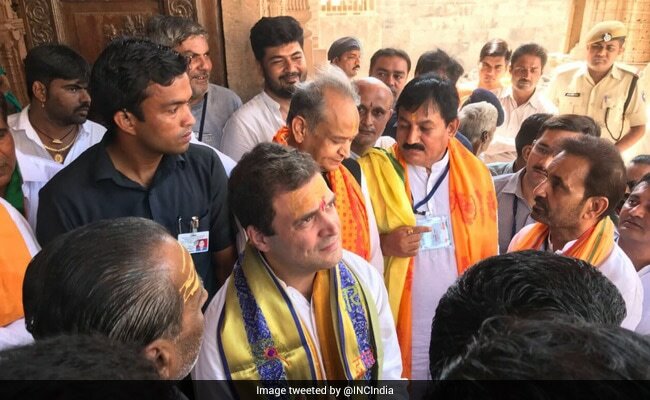 Rahul Gandhi began his Gujarat tour with a visit to the Dwarkadeesh temple in Dwarka. 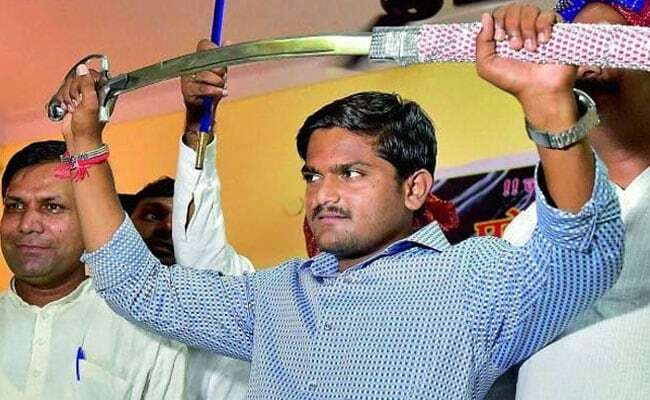 Dwarka, Gujarat: Hardik Patel, the 24-year-old face of the Patel or Patidar agitation in Gujarat, this morning welcomed Rahul Gandhi in a tweet as the Congress vice-president arrived in the state for a three-day election campaign tour in the politically significant Saurashtra region. The Congress hopes it signals a reversal in the way the state's powerful Patidar community will vote in this year's assembly election - they have for years been staunch supporters of the BJP - and Rahul Gandhi will attempt during his tour to harness the Patel anger against the BJP government for refusing to meet their demand for reservation in government colleges and jobs. Mr Gandhi began his tour today with a visit to the Dwarkadeesh temple in Dwarka. He will travel by road in a specially designed bus through cities and villages stopping for meetings, before a night halt at Jamnagar. Over the next two days his road show will move through Jamnagar, Morbi, Rajkot and Surendranagar districts in the heart of Saurashtra, which accounts for 58 of Gujarat's 182 assembly seats. During his tour, Mr Gandhi will also hold multiple meetings with traders, hoping to tap into unhappiness over what his party calls the faulty implementation of the Goods and Services Tax or GST and with farmers, who have been protesting over support prices for crops. The Gujarat Congress - which has attacked the ruling BJP with an aggressive social media campaign focused on civic issues like pot-holed roads - as also coined the slogan Yuva Rozgar Kheduat Adhikar or Youth Employment and Farmers Rights, indicating that Mr Gandhi will focus on wooing these segments in the region. The Gujarat BJP is dismissive about Mr Gandhi's tour. "Rahul Gandhi has in the past failed to draw any connect with the youth and he will continue to do so. His road shows and rallies even in past have been failures. The Congress has been rejected by the people of the state time and again,'' said state BJP chief Jeetu Vaghani. The Congress began its Gujarat campaign much later than the BJP, whose chief Amit Shah has made multiple visits to the state since early this year and has tasked his party with winning 150 of the state's 182 assembly seats in the elections, to be held by December. Rahul Gandhi had visited the state last month to kick off his party's campaign. The opposition party has also been beset with internal problems like a rebellion by its most senior leader Shankarsinh Vaghela, who quit the party along with his supporters and has launched a new party, seen to be a move to help the BJP by cutting into the Congress' votes.